Guys who model in underwear catalogues can be such a distraction... #cataloguepose #malemodeltrending #catalogues. Our favorite boy, Nick Jonas. Thanks for this cutie-pie, Disney! :) #socuteboy #boyfriendmaker #socuteboys_. Hot guy AF, right?! And it's not even the full picture. He's a real cutie. #gymsexy #gymzone #gymtops. Personally, I believe Ryan Hughes has better pictures online but oh well, those ABS deserve it. This one is pretty artistic and all that. He's very much into fitness and has half a million fans on Facebook, he's a leader alright. :D Plus, this guy is good looking. Say what now? ^_^ #dreamboyfriend #dreamyboy #dreamboyz. What would you do if you went to the public bathroom & saw this young stud taking a selfie..? ^_^ #wwyd2 #guyswithiphones #wwydforsomepaper. Ever been into a photographer? Well, I am now. xD #malemodelscene #sexyphotographer #malemodeltrending. Need your machine fixed? Boys into cars. <3 #gymhotties #tumblrboyz #gymhottie. One handsome cowboy! Hella dreamy. ^_^ #cowboysarehot #outinthesunshine #cowboysrule. Caption this picture? #captionless #tellastory #captionthiscontest. Loving the abs so much, great quality in a man. Do you? #absession #abslover #absessed. Time for water sports. Up for it? #cutemale #beautifulboyfriend #cutemodels. Body show-off out in the club. Wish handsome guys did that more often. ^_^ #muscleabs #bodyrockerz #brazilianboyz. Guy with a phone taking a selfie. He's such a great looking guy, why shouldn't he just take a quick photo in the mirror? Also... Those shoulders are huge! Like whoa... Plus, killer biceps are just killer. He could get it anyday. I mean it - anyday! Apparently, his name is Dean Michael Fazzolari. And this is one hell of a hot dude. I mean, let's get real. What a perfect top guy! For me, they’re Hot guys of the week. Free hugs over here! Who's in? #freehugfriday #hugmewhenyouseeme #freehugsday. Lay me down series, part 7. Maybe rotate that phone a little. :) #playagame #rotateyourphone #manflowers. Into soldiers? This is a guy from the military, in the army clothes which can't be seen since they're unimportant. So much to look at already. Seems like his soldier days are the golden days! #summernightz #weekendfuntime #summerisbeginning. This guys looks like a million dollar man. Those well-built muscles must be hard as a rock in real life. Wanna touch? :) Santino seems like he's very strong, must be from often gym visits. He can be there for hours, but I bet he could do some other things for hours as well. Very dark, delicious and delectable. 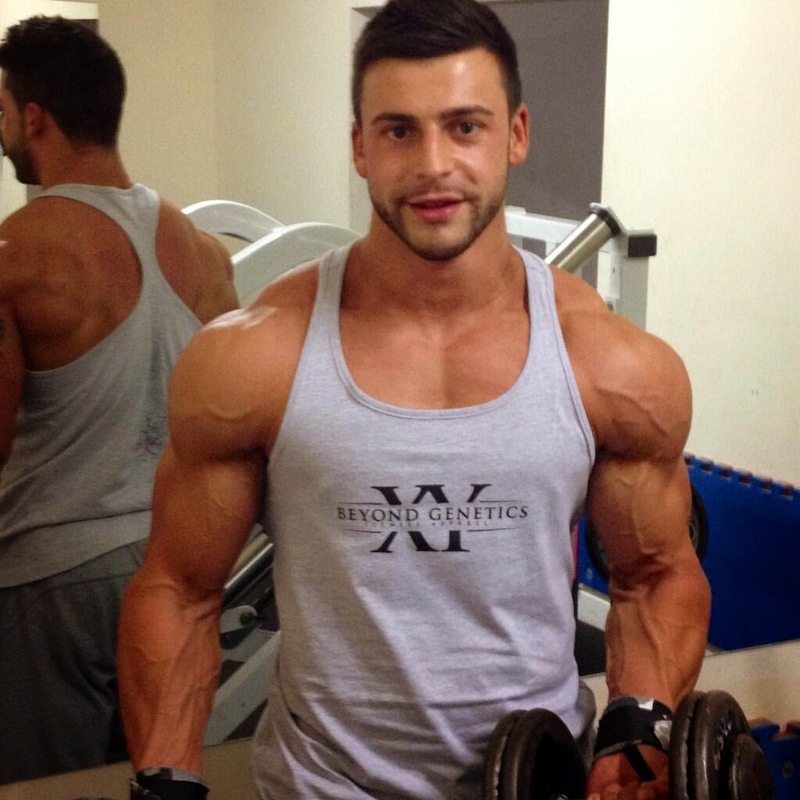 Ripped beast Santino Palazzo is our dream guy today. No wonder he's from "The Dreamboys". He came straight from our dreams. Lord have mercy! Did anyone know Nick Jonas of the Jonas Brothers would get this attractive after the boyband career? He's aways been cute, even with those curles, back then. But look... Those guns though! :) #nickjonas #jonasbrothers #disneycutie.